An Independent Medical Examination (IME) occurs when a physician who has not previously been involved in a person’s care examines an individual. There is not doctor-patient relationship. IMEs may be conducted to determine the cause, extent and medical treatment of a work-related or other injury where liability is at issue; whether an individual has reached maximum benefit from treatment and whether any permanent impairment remains after treatment. 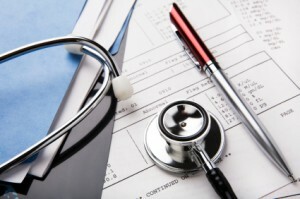 An IME may be conducted at the request of an employer or an insurance carrier to obtain an independent opinion of the clinical status of the individual. Insurance carriers, auto insurance carriers, and self-insured employers have a legal right to this request. Should the doctor performing the IME conclude that a claimant’s medical condition is not related to a compensatable event, the insurer may deny the claim and refuse payment. We respect and care for all the claimants we provide medical-legal evaluations for and our physicians are determined to provide the most comprehensive evaluation for you. Think of Medical Legal Experts as a trusted friend or business partner during the medical-legal process. Our business is built around building a relationship with claimants so they feel comfortable at the time of the evaluation. Our physician group consists of board certified professionals who know how the medical-legal system works. Our goal is to work with you and communicate with you during the entire process; scheduling appointments, obtaining records, knowing your rights and quality assurance for you claim. To Schedule an Independent Medical Evaluation (IME) call (800) 411-1006 today!